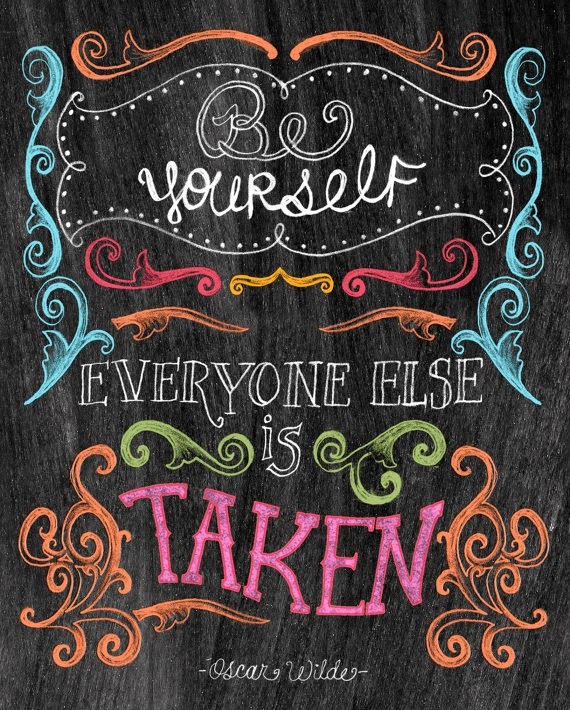 I'm loving this Oscar Wilde quote and wonderful chalkboard art from Tammy Smith Design on Etsy. I'm also inspired by the colorful chalk ... a happy visual and some wisdom to start the week! Tammy has other wonderful chalkboard art designs on her Etsy shop. Take a moment to pay her a visit ... I'm certain you'll be glad you did!